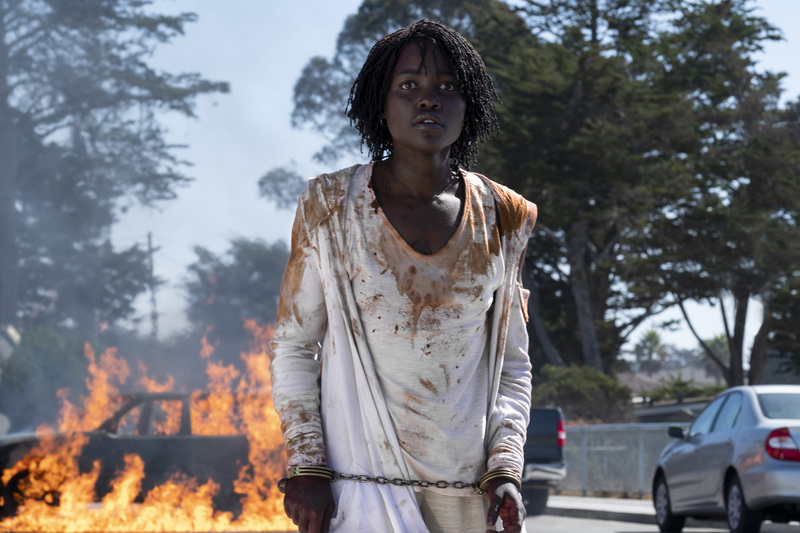 Fear and happiness are two different emotional states juggled by Jordan Peele on his recent directorial debut film Get Out. Returning from his recent Oscar win, he offers another horror film simply titled Us. This time working on a much larger canvas but its themes are rather personal yet general. It is safe to say that this is his most genius fusion of horror and humor to date proving that he ain’t a one-hit wonder director but a visionary of the genre. Couple Adelaide Wilson (Lupita Nyong’o) and Gabriel “Gabe” Wilson (Duke Winston) with their children Zora (Shahadi Wright) and Jason (Evan Alex) head into Santa Cruz for a summer vacation and to catch up with their couple friend Kitty (Elisabeth Moss) and Josh Tyler (Tim Heidecker). From the get-go, Us focus itself on Adelaide past traumatic experience in Santa Cruz beach and how her hesitation at first not to come back to her hometown is rational. Even though she allows this return, her dread can’t be easily dismissed. When odd things keep popping, mirroring her haunting past; she knows something is about to happen. Her fear becomes bigger and bigger until it takes the form of its own and appear in their front yard. Worst, it is not only resembling her but also of her family wishing to bring them destruction. 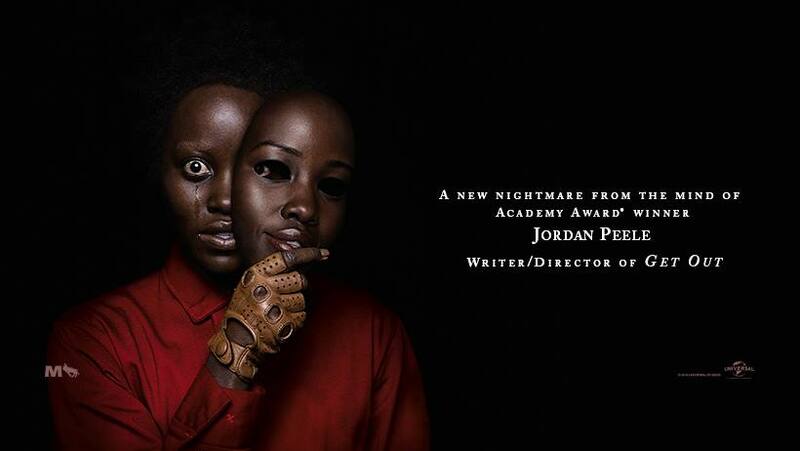 Lupita Nyong’o portrayal as protective and fearful mother Adelaide is stellar. Frantic when she sees her children in fright and prefers silence which may be contributed to her deepest fear we could easily share. But she shines the most when playing her own doppelganger. With her wide and teary gaze plus raspy voice she manages to complement the terrifying mood of the scene. Playing as her husband is Winston Duke who is fun and cheerful and a contrast to her. His performance diverts the film tone that even his dual character though wooden and growling, lightens the atmosphere. Its acting and casting are undoubtable. Peele ensures that he can bring out the best in his ensemble evident even on the younger roles. The challenge of playing double roles which are entirely different from each other and every cast delivering the best on both is truly impressive. Unlike Get Out with a pretty straight forward narrative and obvious social commentary, Us takes us to places. There are parts we might think where this film might go to but its witty script shows no signs of familiarity. With every peeling of its layers, is an exposition of new things that must be added to your running thoughts. Peele puts a lot of set-up throughout and payoffs which will be logically served later, even more are his nods to other great horror films. Still, there are things which I could not understand and repeated viewings are necessary and rewarding. But the true gem of this haunting tale is rather its subtext. This is a kind of a film that needs to be deconstructed, taken apart and analyzed to properly comprehend the genius of its director’s mind. The script is imperfect and some parts need to be flesh out. Its absurdity and mindfuck ending might turn off some people but enjoying it as a familial horror rather than thinking movie could be best for them. Some might say that it is dark comedy but to me it is not. Unlike dark comedy that takes home painful and dark subjects, the humor of Us just serves as a catharsis to its viewers. Finally, what really help the most in creating a chilling atmosphere of the movie is its score and cinematography. From the sunny picturesque of Santa Cruz beach and dynamic shots in and out of the house, Mike Gioulakis (It Follows, Glass) photographic direction aligns to Peele’s vision. Michael Abels on the other hand composed an ominous and riveting score that truly heightens fear when it needed to and soundtrack that generates discomfort. 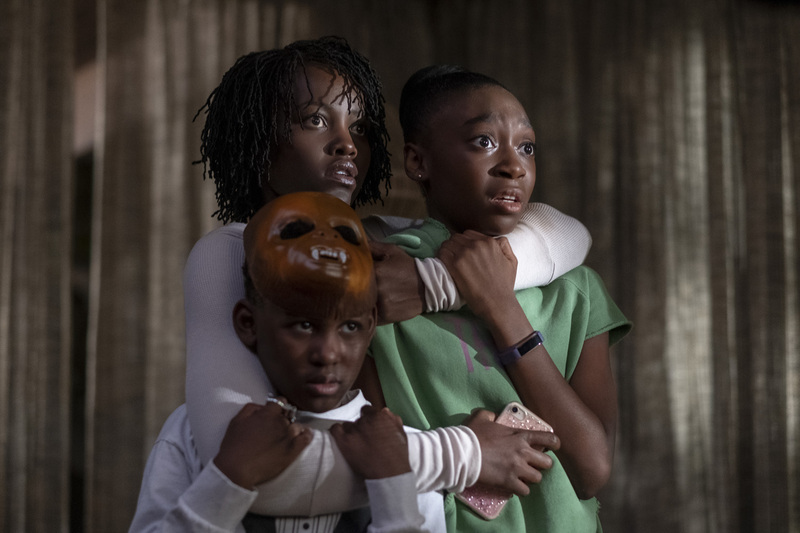 Jordan Peele’s Us is an a-peele-ing masterwork. A full-on horror so terrifying and twisted but at the same time hilarious. It breaks boundaries of horror genre and excels in film making categories such as acting, directing, score and screenplay. Us peels off the mask we hide from, revealing that we are our own enemy all along, the one who creates our own destruction. It will probably be one of the most talk-about movies of the year. Running Time: 2 hours and 1 minute.